Finally available after two years in the test process, the Comfort Elite Reflex Extended version – a longer length girth to be used with saddles which have girthing that does up under the saddle flap. 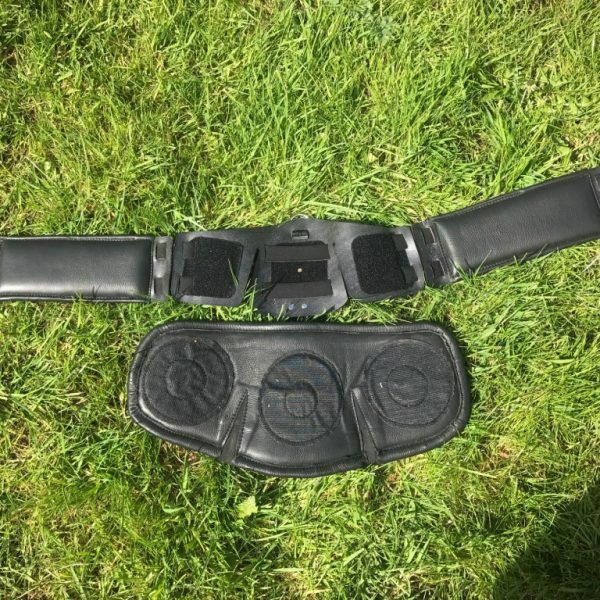 Designed to give superior stability and comfort for the horse, Extending both laterally and medially it allows for expansion of the rib cage during breathing and movement, therefore alleviating the tight, loose, tight, loose fitting of a standard girth which can allow saddle slip. 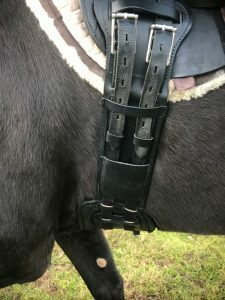 The firm elastic and ergonomic shape of the girth keeps the sternum pad firmly in place whilst the mid section and extendable girth straps allows the horse a full range of movement…. Read More.. Designed to give superior stability and comfort for the horse, Extending both laterally and medially it allows for expansion of the rib cage during breathing and movement, therefore alleviating the tight, loose, tight, loose fitting of a standard girth which can allow saddle slip. 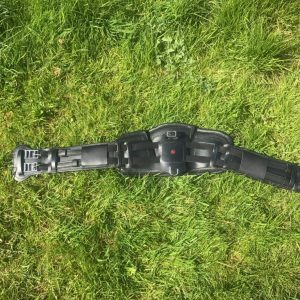 The firm elastic and ergonomic shape of the girth keeps the sternum pad firmly in place whilst the mid section and extendable girth straps allows the horse a full range of movement. 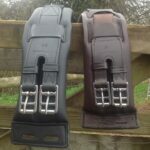 During the trial process of the first girths we noticed that extending and padding the girth straps also had the effect of eliminating girth rubs on horses with a forward girth groove and in some cases reducing girthiness. 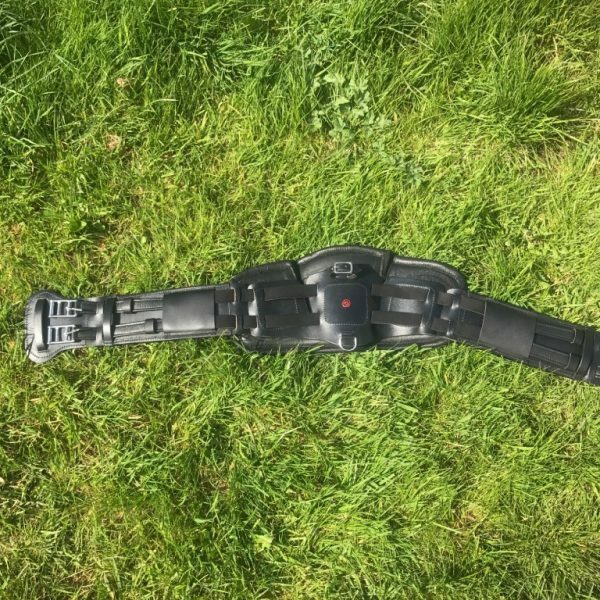 The girth is currently being studied and trialled by Equus Callabus using the Pegasus Gaitsmart equipment and at present in initial tests we have seen an increase in stride length when using the girth. 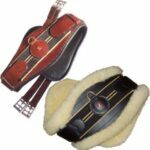 We are also planning to produce a sheepskin back made for us by Mattes Equestrian and a padded neoprene back which includes heart monitoring equipment .